No hot water on board at the moment but that's an easy fix. Ex fishing boat for sale in France. 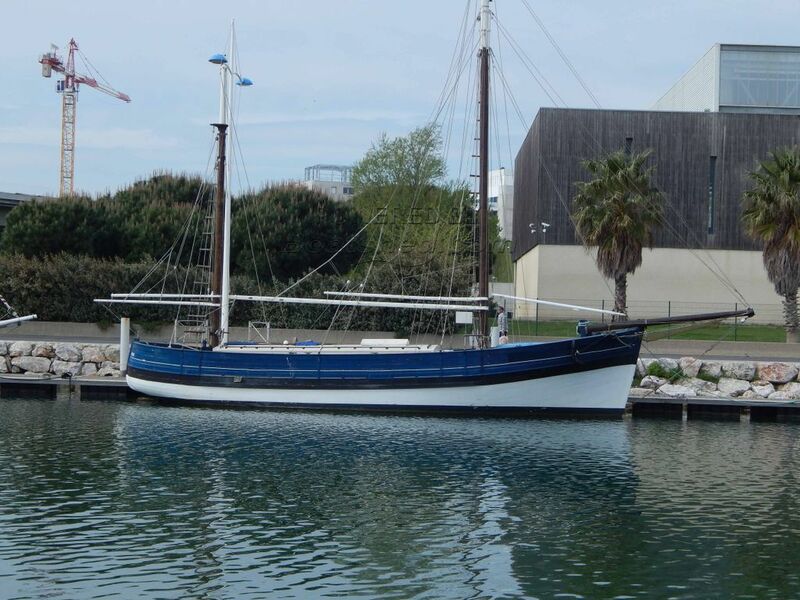 Boatshed Sud Med is happy to offer this completely restored fishing Tuna sail boat in 1994, and now lying in a nice little port of the Languedoc Coast. This is a great opportunity to acquire a classic live aboard and cruising boat. The boat is in excellent order throughout, no rot or leaks but she will need the hull above the waterline painted for next season. The engine in the photos looks a bit shabby but she functions perfectly as seen in the video and starts first time. However anybody interested in this boat should budget funds to strip down the heat exchangers and have them cleaned and rebuilt or replaced. For more information or organise a viewing, please contact, Graham Wharmby, your broker at Boatshed Sud med. This Dundee Wooden Tuna Fishing Boat Fully Renovated In 1994 has been personally photographed and viewed by a representative of Boatshed Sud Med. Click here for contact details.